The Matsu colony and surrounding islands were declared a national nature reserve in 2000 and eight islets have been declared 'preserved areas', with no-one allowed to land during the breeding season (Chang and Wang 2008). The Taiwanese Coast Guard patrols waters around the Matsu Islands and has recently begun seizing fishermen's nets if they are caught egg-collecting - this appears to be a major deterrent as there has been no recorded egg loss since (Anon. 2007b). Reclamation at Min Jiang estuary was halted in 2006 and the site is now a provincial-level reserve (F. Morning in litt. 2008). The estuary was recently identified as of international importance for the species (Bai et al. 2015). In Thailand, the species is nationally protected, and the locality where it was historically recorded is protected as the Laem Talumphuk Non-Hunting Area. A Special International Meeting of the Pacific Seabird Group was held in Lukang, Taiwan, in October 2007, at which the Chinese Crested Tern Working Group was formed and various conservation actions were discussed (Anon. 2007b). An 18-month 'Critically Endangered Chinese Crested Tern' project ran from July 2008, aiming to locate undiscovered breeding colonies and feeding areas in Fujian Province, to conduct education and awareness work at schools and local communities around key sites in northern Fujian, and raise awareness of the need for strengthened law enforcement and other actions among stakeholders in Fujian and Zhejiang provinces (BirdLife International 2009). In April 2009, 20 participants attended the Cross-Strait Chinese Crested Tern Conservation Meeting in Fuzhou City, Fujian (Cheung 2010). Amongst the coordinated conservation actions, there were: i) synchronized surveys carried out twice a month from June to August 2009 in the Matsu Islands and Min Jiang estuary to confirm the total number of individuals off the coast of Fujian, ii) surveys for new breeding sites along the eastern coast of mainland China, iii) investigation of migration routes and iv) basic training for nature reserve staff and volunteers. A public seminar and photo exhibition were held in the public library of Fujian to raise awareness of the species and major threats. In October 2009, further awareness-raising activities were conducted in schools in coastal areas of Zhejiang and Fujian provinces (Cheung 2010). Environmental education work is on-going (Hong Kong Bird Watching Society in litt. 2011). Since 2007, six cross-strait or international symposia on the Chinese Crested Tern were held in Taiwan or on the China mainland (Gill 2010, Chen et al. 2013). A Species Action Plan was published in 2010 (Chan et al. 2010). A training workshop on Chinese Crested Terns was held in Zhejiang province, China in March 2013. The workshop focused on habitat restoration at breeding colonies (Anon. 2013). In 2013, Tiedun Dao islet in the Jiushan Islands was restored as a seabird colony (BirdLife International 2013). Vegetation was cleared, 300 tern decoys were placed on the island and solar-powered playback systems were used to play contact calls of Great and Chinese Crested Terns. By late July, 19 adult Chinese Crested Terns and 2,600 Great Crested Terns were present, and by September at least one juvenile Chinese Crested Tern had successfully fledged. During the 2014 and 2015 breeding seasons two colony monitors were stationed on Tiedun Dao to monitor the species and deter illegal egg harvest. At least 13 chicks fledged in 2014 (Anon. 2014) and at least 16 chicks fledged successfully in 2015 (Hurrell 2015). In 2015, 31 Great Crested Tern chicks were fitted with field readable bands at Yaque Shan in the Wuzhisham Islands in order to learn more about their movements among colonies, migration routes, and wintering range (Hurrell 2015, S. Chen in litt. 2016). It is hoped that banded Great Crested Terns will help us to learn more about the ecology of Chinese Crested Terns. A series of meetings and workshops were organised to discuss the tern restoration work and a successful education campaign was implemented (Chan 2014). Plans are in place for the BirdLife Asia Division to work with Burung Indonesia to raise awareness of the species at potential wintering sites (Hurrell 2015). 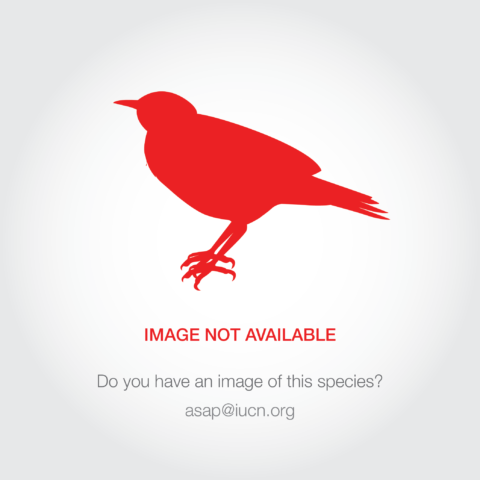 A CMS International Single Species Action Plan (Chan et al. 2010) recommended 13 actions: (1) conducting surveys at its former localities, both in the presumed breeding and non-breeding ranges, and at other potentially suitable breeding sites in China, (2) taking immediate conservation measures to safeguard any sites found, especially nesting colonies, (3) upgrading the level of protection afforded to Min Jiang Estuary, (4) monitoring the known breeding colonies, while taking care to avoid disturbance, (5) enforcing a ban on landing on the breeding islands, (6) stopping the exploitation of the species, ensuring that no eggs are taken - posting a warden at the Matsu Islands (however this may not currently be possible for political reasons), (7) surveying potential wintering areas and migration sites, including islands in the Seram Sea and Banda Sea (Robson 2011); recent records of the species during the winter found it in areas with high concentrations of Great Crested Terns Sterna bergii [C. Robson in litt. 2015] so these areas could be targeted in any future searches), (8) identifying threats in the wintering areas (S. Chan in litt. 2015), (9) lobbying to reduce the amount of pollution from industry; (10) strengthening the species's legal protection status; (11) conducting an education/awareness raising campaign to raise the profile of the species, including working in eastern Indonesia where the species is thought to winter (S. Chan in litt. 2015), (12) implementation of suggested actions by all range countries, (13) improving the knowledge of the species's breeding ecology, migration pathways, and genetic diversity, as well as detecting and removing other potential threats at the breeding colonies (Liu et al. 2009, Chen et al. 2009, 2015); studies using colour-ringing and satellite telemetry have been initiated on Great Crested Terns nesting with Chinese Crested Terns along the China coast (S. Chan in litt. 2015, H. Yuan H. in litt. 2016, S. Chen in litt. 2016). The species is poorly-known, recorded breeding recently at only three sites on the eastern coast of China (Matsu Islands of Fujian, Jiushan Islands, Wuzhishan Islands of Zhejiangand Islands) and one site in South Jeolla Province, South Korea. 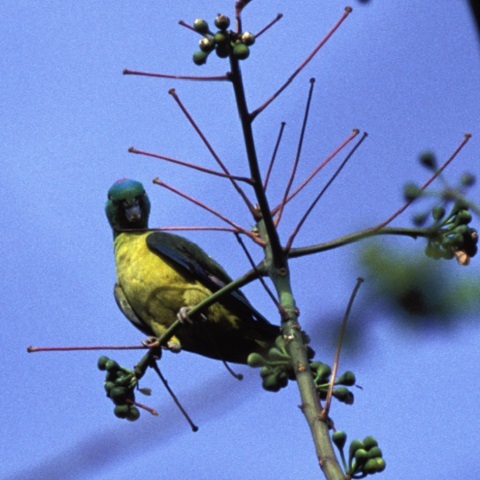 Outside the breeding season, the species has been recorded in Indonesia, Sarawak, Malaysia, China, Thailand and the Philippines (BirdLife International 2001). In June-July 1937, a total of 21 specimens were collected on islets off the coast of Shandong, where it was presumably breeding, indicating that it was locally not uncommon in the past; however, surveys conducted in June-July 2006 suggest that the regional breeding population has been extirpated from the coast of southern Shandong (Chen Shuihua et al. 2009, Liu et al. 2009). Until the rediscovery of the breeding sites on Matsu and Jiushan Islands, the only records were from China, in Hebei in 1978 and Shandong in 1991, with a possible record from peninsular Thailand in 1980. In summer 2000 four adults and four chicks were found amongst a tern colony in the Matsu Archipelago off the east coast of mainland China (but administered by Chinese Taiwan). Breeding again took place in 2003, and in 2006 5-7 birds, including a pair of adults and a juvenile, were present (Candido 2006), with a total of 20, including three chicks, reported in 2008 (Hansbro in litt. 2008). In 2010 there were 15 adults and three nestlings at Matsu; there were six adults in 2011 and only four adults (with no successful breeding) in 2012 (S. Chan in litt. 2013). In 2015 the species again bred successfully on the Matsu Islands (Hurrell 2015). A small group of Chinese Crested Tern was also found breeding at Jiushan off the Zhejiang coast in 2004 (Chen et al. 2005), but none bred there in 2005 or 2006; four pairs were recorded in 2007 but all eggs were collected by local people (Chen et al. 2009). Two pairs mixed in about 2000 Greater Crested Terns which were considered to be a former breeding group at Jiushan were found breeding at the Zhoushan Wuzhishan Archipelago nature reserve in Zhejiang in 2008 (Chen et al. 2010), with a maximum of 14 adults and six nestlings there in 2013 (Chen et al. 2013). Surveys of the coasts of Shandong and Zhejiang in 2003-2007 suggested that the breeding colonies on the Matsu and Jiushan Islands were the only ones still extant (Chen et al. 2009). One to 11 birds (thought to be birds from the Matsu colony) are present from April to September at the Min Jiang estuary, Fujian. Since 2008, a small number of putative hybrid S. bernsteini x S. bergii have also been recorded and photographed at Min Jiang estuary (Chen and He 2011), with two recorded at the Matsu Archipelago in June 2011 (Wang and He in press). The species's movements and wintering grounds remain poorly understood, but heightened awareness in Taiwan (China) has resulted in several records of 1-2 birds using the Pachang River outside the breeding season since 1998 (P. Kennerley in litt. 2003), and more recently in 2004 at Chongming Dongtan National Nature Reserve, Shanghai (Zhang et al. 2004), and the Xisha Archipelago, indicating that it may winter around islands in the South China Sea. An individual was recorded off the coast of Seram Island, north Seram, Indonesia in December 2010 (C. Robson in litt. 2010, Robson 2011). The species was again recorded at this location in November-December 2014, indicating that it may winter in eastern Indonesia (C. Robson in litt. 2015, S. Chan in litt. 2015). The discovery in 2016 of two pairs breeding in a colony of Black-tailed Gulls (Larus crassirostris) on an uninhabited island off the southeast tip of the Republic of Korea (Muan-gun, South Jeolla Province) represents the first breeding record outside of coastal China (Yang Liu in litt. 2016). There is also a very northern record from Tangu, Tianjin, in September 2008 (per Yang Liu in litt. 2012). The number of breeding adults varies each year, ranging from 12 in 2012 to at least 43 in 2014. Given this the total number of mature individuals is likely to number fewer than 50, and perhaps most likely 30-49 (S. Chan in litt. 2013). Egg collection is a major threat to this species, having been linked to breeding failures in 1999, 2001, 2002, 2003, and 2005 at the Matsu Island tern colonies as well as in 2007 on Jiushan Islands. For 45 nesting attempts between 2004 and 2013, egg harvest accounted for 44% of nest failures (Chen et al. 2015). The value of seabird eggs more than doubled in Zhejiang between 2005 - 2007, encouraging more people to enter the egg-harvesting trade (Anon 2007a). Poaching still occurs despite patrolling (Chen et al. 2009). Egg collection causes later breeding attempts due to re-nesting. Typhoons can cause high levels of nesting failure, responsible 48% of nesting failures in studied nests between 2004 and 2013 (Chen et al. 2015). Many of the nest failures attributed to typhoons (58%) were re-nesting attempts after the first nesting attempt failed due to egg harvest, highlighting the synergistic effects that these two threats can have on the species (Chen et al. 2015). Protection of breeding sites can reduce mortality, for example in Tideun Dao, a typhoon in the 2015 breeding season only caused 5% mortality of chicks in the colony due to maintenance of vegetation and discouragement of chicks moving down to shore (Hurrell 2015), but not all breeding sites are protected in this way. Shellfish fishing near breeding grounds is deter breeding birds (Chen et al. 2009). Fishing activities, including dynamite fishing, in wintering areas in eastern Indonesia pose an additional threat (Chen 2010), however, the scope of this is unknown. Tourism interferes with seabird breeding at Matu, although landing is prohibited (Chen et al. 2009), however there is no direct evidence to show the population impact. Human activity has also been indicated in the loss of population along South Shandong coast, which has been linked to the colonisation and development of breeding islands since the 1950s (Liu et al. 2009). This has resulted in a lack of suitable breeding habitat as areas are built up with houses, wind power plants, lighthouses and other buildings. Harmful ‘red tide’ algal blooms, caused by industrial pollution in the area, cause the death of fish, reducing prey availability to breeding seabirds (Zhao et al. 2004). Invasive species also pose a threat, with Keeled Rat Snakes, Elaphe carinata, a species known to consume tern eggs, chicks and possibly adults (Chen in litt. 2016, Chen et al. 2005) having been trapped on nesting islands (Jiushan and Wuzhishan). Rats have also been recorded at breeding sites (Matsu, Jishan and Wuzhishan islands), known to consume tern eggs and possibly chicks, there has been no direct evidence of impact on Chinese Crested Tern, however rats have been found to affect mixed bird colonies in which the Chinese Crested Tern is found (Chen et al. 2005). Due to the low population size, even a very low level of predation will likely have a significant impact. Hybrids of S.bernsteini x S.bergii have been recorded and photographed at Min Jiang estuary since 2008 as well as in all 3 colonies along China coast. This may be a significant threat given very small population size (Chen Lin and He Fengli 2011).